Most people could really use some help managing their finances, yet relatively few seek the services of professional financial planners. And here's on reason why: Those pros typically aren't focusing on what the average client really wants. A recent article from professors Thomas Warschauer and Donald Sciglimpaglia in the Financial Services Review sheds some light on the disconnect between financial planners and their clients. 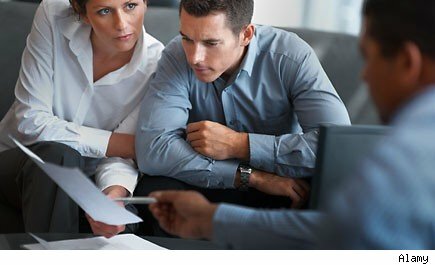 The professors surveyed several hundred people across the country to see which financial planning services they valued most highly -- and the results reveal what could be seen as a failure of the profession to address clients' core needs. Many financial planners center their advice around their clients' investment portfolios, working hard to put together detailed investment strategies. Because most of them collect their fees based on assets under management or commissions from investment sales, that focus on investing seems natural. Yet the study found that in general, people want services that emphasize protection and financial security more than investment-related advice. By far, the service that was most highly valued was help ensure that people have a large enough emergency fund to handle unexpected financial hardships. Legal protection through trusts and powers of attorney was the second most-valued service, while protecting against disability and health-related expenses rounded out the top three. Even within the investing realm, the highest-value services are far more general in scope than many financial planners provide. The study found that clients most want to know whether they're adequately diversified and have investments that will meet their financial goals and income needs. They put far less value on specific investment recommendations that seek to time the market or outperform market benchmarks. Even assessing risk levels isn't viewed as being as important as getting an overall assessment of financial health. On the other hand, clients simply aren't willing to pay much for comprehensive advice. The study found that fewer than one in five people would pay $500 for financial planning services, with only one in 20 being willing to pony up $1,000 or more. If you want financial planning advice, it's essential to understand that financial planners have to make a living. As long as they rely on fees from investment products for their income, they'll overemphasize investing advice. To get the advice you want, talk with your financial planner about the best way to pay for it.